I only recently discovered the Scottish National Gallery, wandering in after visiting the Warhol show at the neighboring Scottish Academy. I was blown away by two pictures. One is listed above. The Landscape... link does not seem to work, i.e. seems not to be a permalink. Here are direct links to John Knox'es pictures, hopefully working: View from Ben Lomond (is it it? 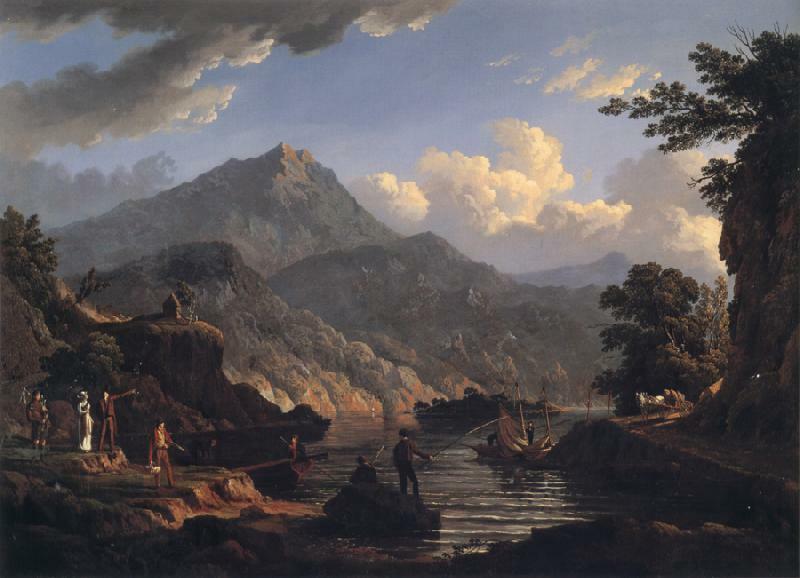 ), Landscape with Tourists at Loch Katrine. Thanks for the corrected links! I've updated the original message. Mt first visit to Edinburgh last weekend, and I too was blown away by this picture. My partner and I both instantly looked at the ceiling of the gallery room toward what we expected were down-lights shining on the glossy oils. But he's actually captured that light on he hillside. Amazing. Voltaire by Orchardson also struck a chord - smoky and full of action.